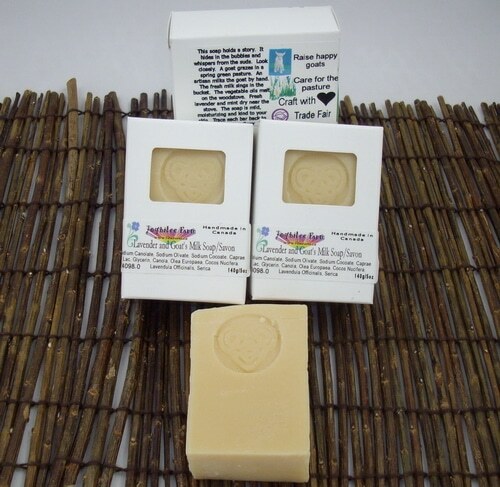 Joybilee Farm soaps and solid shampoo bars are made with natural vegetable oils, farm fresh goat’s milk from Joybilee Farm’s own ethically raised Saanen milk goats, Joybilee Farm Goat’s Milk Soaps will protect your skin through many hand washings. They won’t dry your skin like liquid detergents. Gentle enough for sensitive skin or for a baby. 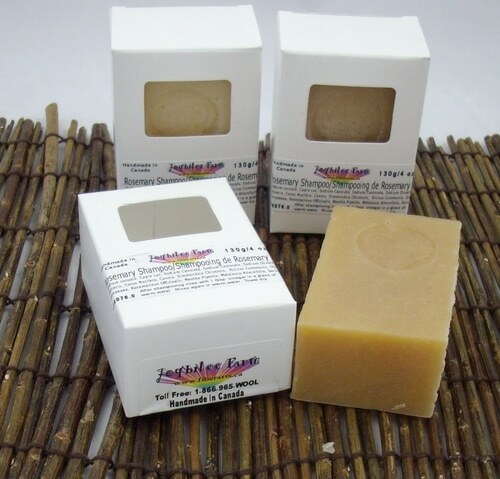 And Joybilee Farm soaps never contain any petroleum derivatives or synthetic fragrance oils. 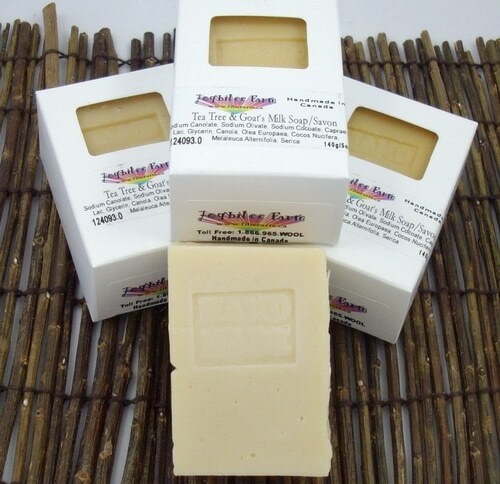 Joybilee Farm Goat’s Milk Soap is made with the cold process method of soap making. Every bar contains silk protein, natural glycerine, and goat’s milk for their moisturizing and skin nourishing effects. Olive oil, coconut oil and natural vegetable oils complete the recipe. Then the bars are aged for several months to make them firm, long lasting, and mild. Soap improves with age, like a fine wine. The soap is handmade using recipes developed at Joybilee Farm and family tested. With 30+ years of soap making experience, Robin makes this soap by hand in small batches and hand cuts each 5 oz. bar. Packaged in custom boxes with an open window, to let you appreciate the fragrance of clean, fresh Goat’s milk and lavender soap — these soaps are ready for gift wrapping. Every box tells the story of clean, green pastures, ethical husbandry, and handmade care to details that Robin, the artisan soap maker at Joybilee Farm, puts into every bar. Moisturizing, soothing, and fragrance-free with organic hempseed oil. Moisturizing and soothing with eo of lavender. 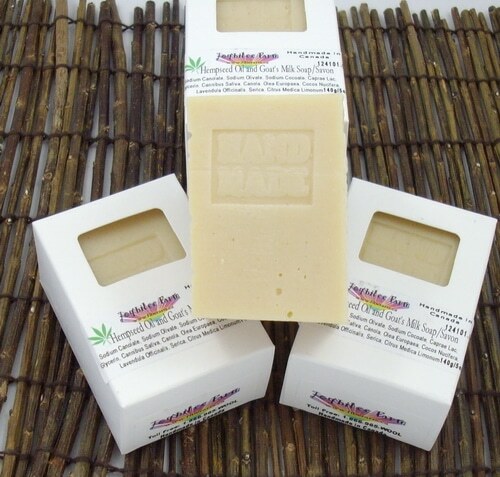 Use it as body soap, a hand washing soap or a complexion bar. Natural complexion bar for every skin type. Oats soothes itchy, dry skin, too. Moisturizing, antibacterial, and refreshing. Good for oily skin or acne. Uplifting anise fragrance. Fish aren't the only ones to be attracted to Anise scent. Keep a bar in your tacklebox, too. Moisturizing, and gentle. This deodorizing bar helps to get mechanical grease and sticky pitch off your hands. 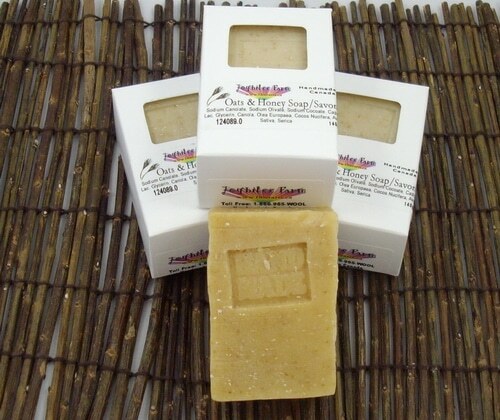 Joybilee Farm shampoo bars are an economical and environmentally sustainable choice. These solid natural shampoo bars last much longer than a bottle of commercial shampoo. They are healthier for your hair and contain no SLS, coal tar colours, chemicals, nor fragrance oils. They are concentrated and a little goes a long way. These are safe for babies and the immune challenged. And they are river-friendly. Like our soaps, these are handmade in small batches and then aged to perfection. Every bar contains silk protein, natural glycerine, and goat’s milk for their moisturizing and hair nourishing effects. Olive oil, coconut oil jojoba oil and castor oil complete the recipe. Then the bars are aged for several months to make them firm, long lasting, and mild. Soap improves with age, like a fine wine. The shampoo bar is handmade using recipes developed at Joybilee Farm and family tested. With 30+ years of soap making experience, Robin makes this shampoo bar by hand in small batches and hand cuts each 5 oz. bar. Packaged in the same custom boxes as our handmade goat’s milk soaps, with the story of our happy goats and ethically managed pastures on every box. Concentrated Solid shampoo for fair hair with fresh lemon eo. Concentrated solid shampoo for dark and greying hair. Gentle and it won't strip colour from your hair. I’m a new owner of a very young Angora rabbit and I’m trying to find the best food to buy her. I read your article all about what you guys feed your rabbits and what’s best for them to have. I was wondering if you sold any of the feed you made? I’m looking for Gilead balm/salve to purchase. Do u make this product?